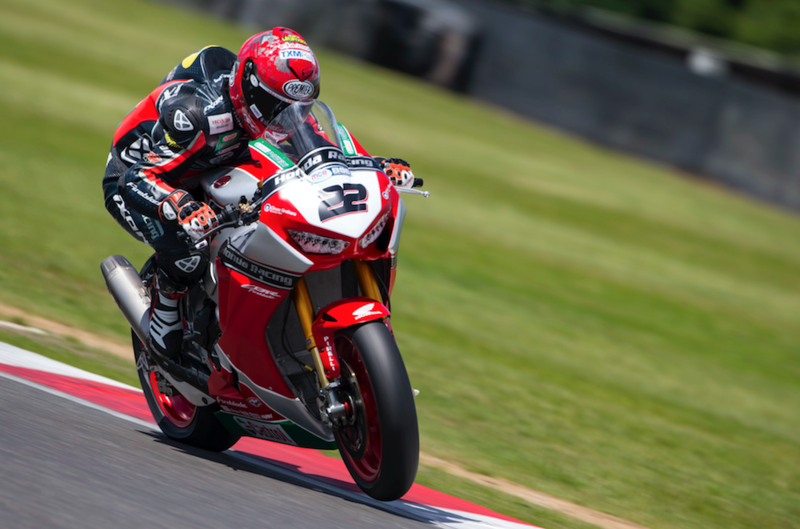 Honda Racing and Jason O'Halloran were back on top of the MCE Insurance British Superbike Championship at today’s official test at Snetterton as the Australian set the pace ahead of next weekend’s fourth round at Knockhill. A number of key players were absent from the test with their teams competing at the 2017 Isle of Man TT. Most notably, Tyco BMW, McAMS Yamaha and Sylvain Guintoli’s Bennetts Suzuki team. In the afternoon session O’Halloran upped his pace despite the blustery conditions at the circuit where he claimed his first MCE BSB race win last year, to better his 2016 qualifying lap time at the Norfolk circuit on the new Honda Fireblade. O’Halloran’s pace-setting lap was just 0.095s faster than the closing Be Wiser Ducati of Glenn Irwin as he returned to action in Norfolk with the local contenders RAF Reserves Kawasaki locking out third place with Jake Dixon. Defending champion Shane 'Shakey' Byrne was fourth fastest on the second of the Be Wiser Ducatis with Czech contender Jakub Smrz having a strong afternoon session in fifth place. The fastest rider from the morning sessions, American John Hopkins ended the day sixth fastest for the Moto Rapido Ducati team. It was a tough day for the championship leading JG Speedfit Kawasaki squad; standings leader Leon Haslam was forced out of action after blowing an engine in the opening session leaving Luke Mossey to fly the flag at his home circuit, setting the seventh fastest time. Dan Linfoot on the second of the Honda Racing machines was eighth fastest with Billy McConnell and James Westmoreland completing the top ten on combined times.